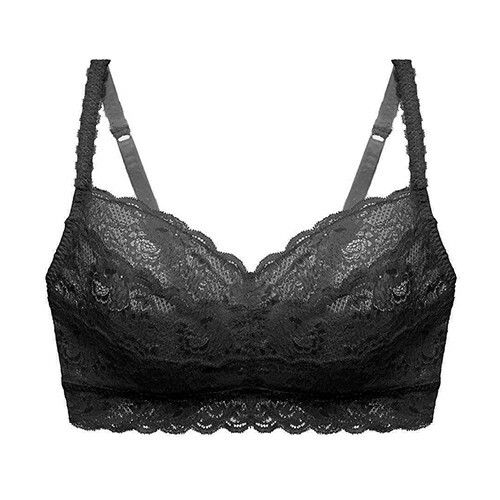 The Allure Plunge Bra is the perfect balance between style, support, and comfort. The semi-sheer lace cups plunge low in the centre. Allure features flat seams and a J-hook at the back for a racerback style and extra support. This chic Chantelle piece is available in regular and plus sizes. Unlined and semi sheer underwire cups with ultra-flat seams. Cups plunge very low in the centre. Double-lined mesh band & fully adjustable, centred straps. J-Hook at back for racerback functionality.